Will Be Available Via Firmware Update to Sena Intercom Owners! 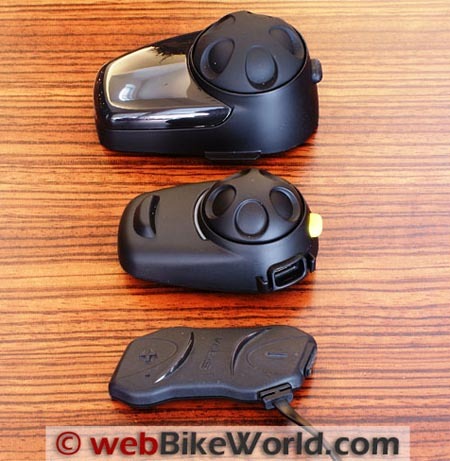 (Nov. 4, 2013) – Sena Technologies, Inc., a Bluetooth innovator in the motorcycle and outdoor activities market, has released a Universal Intercom feature for their full product line. The Universal Intercom is a unique technology to the industry, as it provides cross-brand interoperability to intercom users with conference intercom capability. Sena also announced today the Sena H-Talk Intercom for HJC Helmets (report) and the X-COM and SX-COM intercoms for Nexx helmets (report). The Sena Universal Intercom feature will be available on the new Nexx and HJC intercom systems also for complete cross-brand compatibility. The advanced technology helps continue to establish Sena as the leader in the Bluetooth communication market. “Sena’s mission towards innovative products and advanced technology has allowed us to continue to provide technological upgrades to our current products as well as all-new products coming to market. 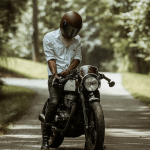 Motorcycle Bluetooth systems have improved dramatically, however, the users have not been able to pair two different brands of motorcycle Bluetooth systems. This is unfortunate” said Sam Kim, Vice President of Marketing, Sena Technologies Inc. The Universal Intercom is a key function of Sena’s headsets and allows riders to communicate via conference intercom with non-Sena Bluetooth products. It reaches a distance of 200 meters (220 yards) to 700 meters (760 yards), depending on the performance of the non-Sena Bluetooth device. The Universal Intercom feature will be provided from the new firmware, and all upcoming new products will be equipped with this new feature. It will be available starting with the v5.0 firmware update of both the Sena SMH10 intercom (review) and Sena SPH10 intercom (review) and v2.0 firmware of the Sena SMH5 intercom (review) and Sena SMH5FM intercom (review). The new firmware will be released in December, and current Sena users can obtain the new technology with a simple firmware upgrade. What is the Sena Universal Intercom feature? Users may have an intercom conversation with other brands of Bluetooth headsets using the Sena Universal Intercom function. Which intercom brands does Universal Intercom feature support? Any Bluetooth headset that supports the Bluetooth Hands-Free profile (HFP). Which Sena products support Universal Intercom feature? SMH10, SMH10R SPH10, SPH10H-FM, SPH10H SMH5, SMH5-FM and all new products to come. When will the Universal Intercom feature be offered and how will it be made available? Through the SMH10 and SMH10R firmware v5.0, SPH10 firmware v5.0, SMH5 and SMH5-FM firmware v2.0 updates. Just upgrade the firmware to newer version! When will the Universal Intercom firmware update be made available? Estimated firmware release will be mid December. What is the working distance of the Universal Intercom? It depends on the performance of the Bluetooth headset that is connected. In general, it is shorter than typical distance of a Sena intercom. The Universal Intercom range is 220 ~ 760 yards (200~700 meters). What is the connection scheme for the Universal Intercom? UPDATE (February 2014): Sena SMH10B Version 5.0 Firmware Update Now Available!